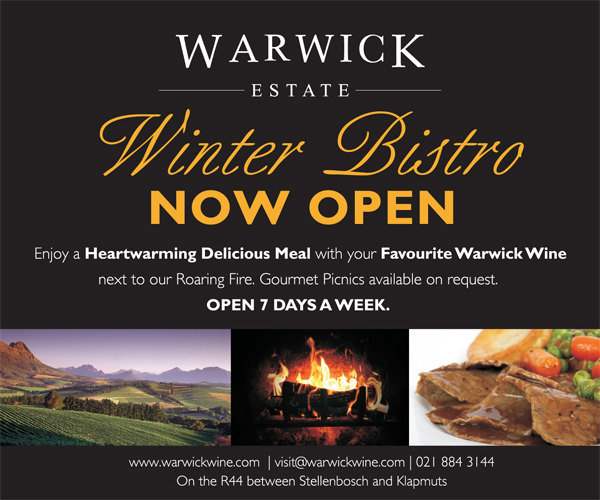 Enjoy a heartwarming delicious meal with your favourite glass of Warwick wine this winter. Gourmet Picnics also available on request. Bistro Opening Times: 12:00 – 15:00 Every day.